Visit www.libraryplayer.co.uk and download the installation file for the software you wish to install. 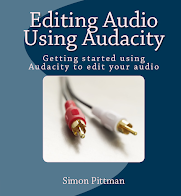 Remember to purchase licenses for the software if you have not already done so. 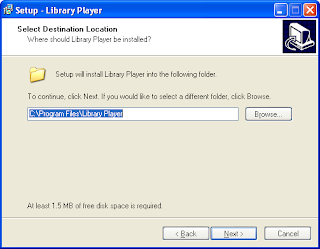 Open the zip file in Windows by double clicking, or extract the zip file to another folder, and run the included installation (it will usually be called Setup, Install or similiar). 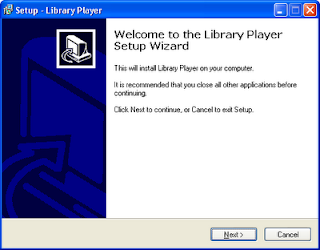 You first see the welcome screen, click the Next button to continue installation. The license agreement appears. You should read this license agreement, and continue if you agree. 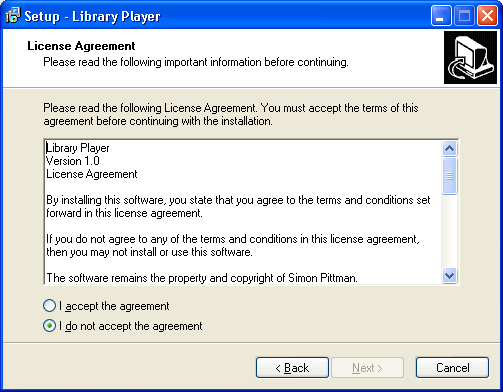 If you do not agree to the terms and conditions of the license agreement then you can not use the software, and should click Cancel. Once you have read the license agreement, select I accept the agreement and click the Next button to continue. Select where you wish to install the software. If you are unsure what to select, leave this option as it is, and click Next to continue. You can choose where you wish to place your "Start menu" shortcut, it is recommended that you do not change this option, and click Next to continue. Select whether shortcuts for the software appear on the desktop and "Quick Launch" bar (the small icons that usually appear on the taskbar next to the Start menu). If you intend to use the software frequently, it is recommended that you tick both options. Finally, you will be asked to check the options you have selected. If you wish to change any of the options, click the Back button, otherwise click Install to continue and install the software. Once installation has finished, a confirmation message will appear. You may see additional product information and the option to launch the software.